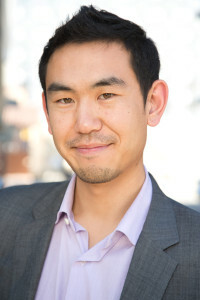 Today’s guest, Leonard Kim, is managing partner of InfluenceTree. At InfluenceTree, Leonard and his team teach people how to position their brands, get featured in publications and grow their social media following. Leonard is recognized by Inc. Magazine as a Top Digital Marketer and Top Youth Marketer, and by Red Letter Resumes as a Top Personal Branding Expert. He went from being almost homeless to becoming a personal branding expert whose content has been read over 10 million times. He has amassed a social media following of well over 250,000 people. He’s been featured in too many publications to name, so there’s a Wikipedia page about him. We’re going to learn Leonard’s powerful story about struggle and success, useful and actionable tips for becoming a social media expert, and how a strategy can help overcome both fear and the noise on social media. 1:00 – At 14 years old, The Notorious B.I.G. inspired Leonard to follow a dream. He started selling beats at school to his classmates. 4:00 – At his low point, Leonard was almost homeless and sunk into depression. He took a position at a small startup, but he was frustrated. 7:10 – “InfluenceTree is basically a course that teaches you to go out there, build your personal brand, get featured in publications and grow your social media following.” If you have a budget, InfluenceTree will also do that work for you. 11:45 – Building a personal brand is similar to sales. The first thing you need to do is meet people, and you meet people online by creating compelling, valuable content. Then you sell yourself. Be genuine and honest about your life and your interests, so that you can build connections with other people. 13:45 – Leveraging pre-existing networks and communities, such as Quora, can help you jump start a personal brand when you are starting from scratch. 16 :30 – A successful social media strategy requires a content calendar. A content calendar sets themes for every day that you will be operating and interacting with social media (M-F is common). This creates a template for you, and it sets expectations for your audience. Next, look forward at the year and plan for any major social media events: holidays, sports seasons, professional events, etc. Videos – Videos take time, so you might only want to do this once a week. Images – Images are comparatively easy, and people like interacting with images on social media. Articles – A successful campaign will probably need an article up every day Monday through Friday. You either have to start cranking out the content or hiring people to do it for you. “Articles convert into sales. It doesn’t matter what industry you’re in – as long as you’re educating people and you’re not selling them, and you have a content marketing strategy, you’re going to win in the world of social media. 25:15 – When you’re going after social media you probably want to post on every network, but “you have to master one platform at a time.” On the other hand, if you’ve only mastered one platform, then no one is going to pay you as a social media expert. You need to master at least two or three. Start with something appropriate for your brand or business. If you focus on images, consider starting with Instagram or Pinterest. If you focus on videos, consider starting with Facebook Live or Periscope. If you focus on writing, consider starting with Medium, Quora or Twitter. 29:00 – What are some of the important metrics to measure with social media? Reach and Engagement – The algorithm is telling you whether or not people are interested in what you have to say. If your audience isn’t growing or your content isn’t being engaged with, you need to start testing changes to headlines, content or message until reach and engagement are trending upwards. Engagement is a direct result of reach, so focus on improving your reach first. The Go and Grow Podcast is supported by Time Doctor. 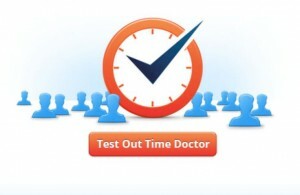 And Time Doctor helps you measure how you spend your time so you can improve your productivity. With Time Doctor, you can track how much time you spend on tasks, identify the websites and apps that are distracting you from your work, track your team’s time and activity, and much more! For a free 30-day trial, click here. Leonard flipped the script and asked me the question, then I cheated and gave two answers: my father and Ben Franklin. Eventually, Leonard did answer the question, and he would like to speak to his grandfather. On the 16th of November, it was Leonard’s car’s birthday so he bought the car (named kitty) a Hello Kitty hat. You can get in touch with Leonard by sending him an email, check out what he’s writing at LeonardKim.com, or learn more about how to grow your business at InfluenceTree at InfluenceTree.com.